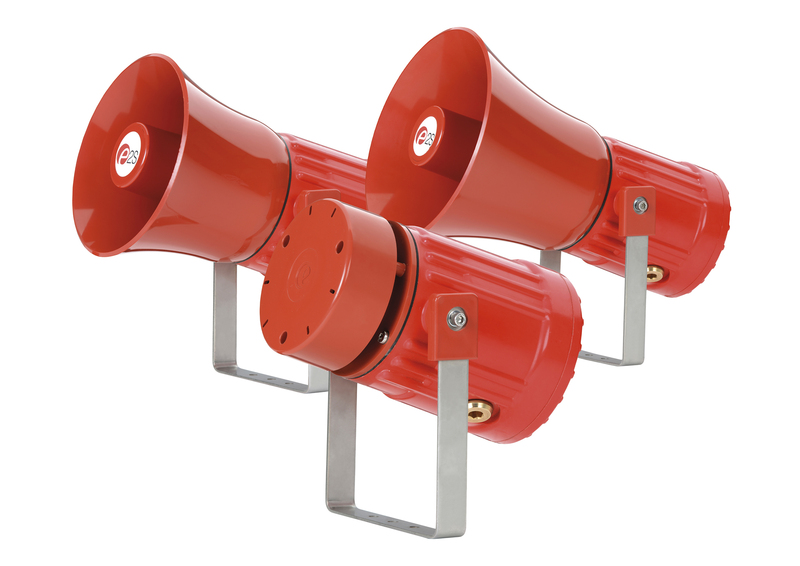 New from E2S Warning Signals is the D2x series of compact alarm horns and combination signals. Available as a standalone high output horn with 64 alarm frequencies and four remotely triggered channels or combined with a 1,000,000 candela Xenon strobe. Certified to both NEC & CEC Class I/II Div 2 & Zone 2/22 as well as IECEx and ATEX Zone 2/22, the D2x is the universal solution to hazardous location signalling. Upgraded for 2015 is the E2x series of warning signals. With its lightweight enclosure manufactured from corrosion proof PPS, the range includes alarm horns, loudspeakers, Xenon strobes and combined audible and visual devices. In addition to the NEC & CEC Class I/II Div 2 approval the series is now also certified for IECEx and ATEX gas and dust applications in Zone 2 & 22, enabling system designers to specify the E2x globally.